Justin Timberlake Celebrity Look Alike Impersonator -Look Alike Celebrity Tribute Artist Justin Timberlake Look Alike for your next event. 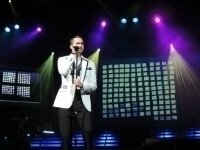 Justin Timberlake Tribute Artist sings all live vocals. Justin Timberlake Lookalike Impersonator has a great look and is a great dancer. Worldwide, National and Local Events. 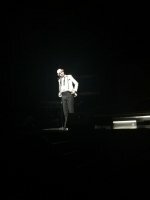 He has appeared in Las Vegas on the Legends in Concert stage for many years. He is the most requested Jusine Timberlake Lookalike Impersonator in the nation. His stage show with his dancers and band will make your event one to remember. He can also do a track show for your event which is also a standing ovation show. High energy show with all live vocals. A great entertainer and always gets a standing ovation. Have Justin Timberlake Look Alike Tribute Show at your next special event. Justin Randall Timberlake is an American singer, songwriter, and actor. Born in Memphis, Tennessee, he appeared on the television shows Star Search and The All-New Mickey Mouse Club as a child. In the late 1990s, Timberlake rose to prominence as one of the two lead vocalists and youngest member of the boy band NSYNC, which eventually became one of the best-selling boy bands of all time.